Hope everybody is having a wonderful Labor Day. I have been waiting for two little pieces of fabric to arrive so I can finish these log cabin blocks, with which I have fallen in love. Had to order them from two separate companies. One fabric arrived in a timely fashion last week and the other one HASN'T. First the lagging-behind fabric company sent a notice that they had mailed it out, presumably themselves, then a second "we know about your package and may pick it up and mail it out one of these days" notice came from USPS. Huge sigh, never order from this particular place again. Although they were the only one I could find who had this particular old Jo Morton fabric. Huge double sigh. Okay, so I worked on two Little Women projects instead over this long holiday week-end. How's this for an abandoned color scheme? I love it. Now to decide what to put in the center. Like a girl working on a quilt or walking next to a wagon wheel. Barefoot. Walking westward to a new life. You have been busy. Lovely pieces- thanks for posting. Nice applique - I like the blocks that surround it. I love the log cabin! Beautiful (as are all the pieces)! The log cabin blocks look fantastic. I think it is worth it to wait for the fabric. The applique quilt is so cute, too. Wonder you'll put in the second frame? 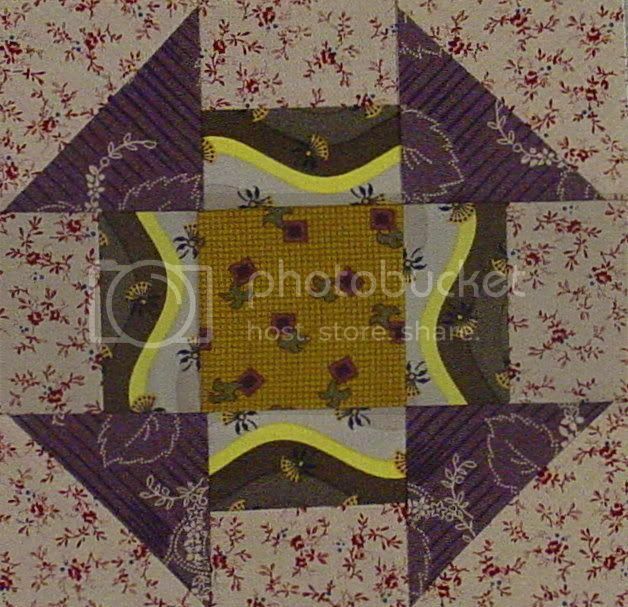 Lovely log cabin quilt. And lovely applique! Love that yellow surround. The medallion setting is just perfect for your Little Women. So frustrating not to receive your promised fabrics for the log cabin . . . hope they come through soon. Love it all but then again I always do. You do wonderful things, Karen. Oh yeah, those colors you used in your log cabin are so original and so fabulous! I wish I could think up great color combos like that! Love the colors in the log cabin and the yellow one! Wow do those color combos jump! Very, very fun. I like the walking westward idea...the colors sort of makes me think of fileds in autumn. fun stuff! hope that fabric shows up soon! The colors in that last quilt are TOTALLY amazing! I absolutely love them together. I wouldn't have thought of it, but they work so well. You always seem to pull things off with panache! Good to see how you used of your scrap fabric. I save mine up and sometimes stuff dolls with them and of course crazy quilt. Once again, i leave your blog so inspired. sigh. After the Ava Grace Silent Auction I look forward to cleaning my house and really creating again. I must say that I am enjoying working on the auction; it is truly a labor of love. got that Lillebet's Garden sewn together!